Aromatherapy Massage, is the holistic approach to health. Using the aroma from pure essential oils extracted from the leaves, stems, fruit, flowers, bark, seeds, berries, or roots of plants, trees, and herbs to treat various ailments. Most essential oils heal on all levels and are holistic. Concentrated essential oils carry the same physiological, psychological, and spiritual healing properties as the plants from which they are derived from. Mixed with a carrier oil, to the body using safe and comfortable massage techniques to effectively relieve stress and discomfort without being overly intense. Professional Aromatherapy is the therapeutic use of the highest quality professional strength plant essential oils. When combined with massage the effect is dynamic. Essential oils will be blended on the spot according to the expertise of your aromatherapy practitioner to ensure each client's individual needs are met. On a physical level they are the most potent form of herbal energy. 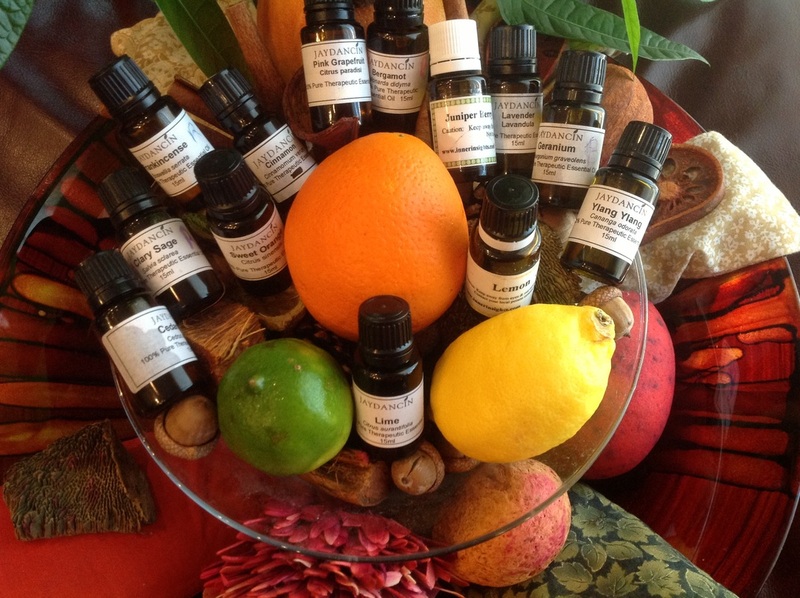 Most essential oils are anti-bacterial, antiseptic, anti-viral, and immune system stimulants. Emotionally they can stimulate memories, basic drives, regulate hormones, and balance the mood. They can help to alleviate depression and stress related disorders, and process grief. Energetically they can be used to balance chakras, the human energy field and acupuncture meridians. Spiritually, the oils have been used for thousands of years for meditation, prayer, rituals, purifications and celebrations. Nourishes skin, as well various skin conditions, eczema, acne etc. Common ailments such as cold, bronchitis, headaches, constipation, indigestion. Also available is our Sea Source 5-in-1 essential massage oil from Arbonne. The massage oil has many proven benefits that include increasing and improving microcirculation and enhancing overall well being. This essential oil blend helps to provide deep skin-conditioning and calming effects. The 5-in-1 formula preps skin and can be used for body and facial massage, as a bath additive, as a purifying facial steam and for relaxing aromatherapy. Key ingredients are: Spirulina extract, sunflower oil, jojoba oil, safflower oil, vitamins E and F for all skin types.